LAS VEGAS – Oct. 14, 2016 – Barrett-Jackson, The World’s Greatest Collector Car Auctions®, kicked off its 9th Annual Las Vegas Auction yesterday with LIVE international coverage on Velocity, Discovery Velocity in Canada and Turbo UK. The entire three-day event at Mandalay Bay Resort and Casino will feature 24 hours of LIVE coverage in the United States as well as 24 hours in Canada and an unprecedented 20 hours in the United Kingdom. 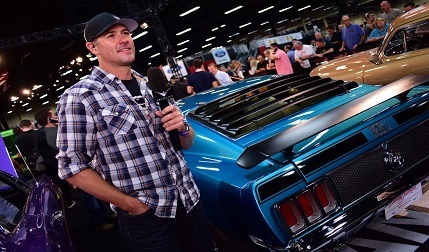 In addition to the international coverage, “Barrett-Jackson Live” will also air in the United States on Discovery en Español on Friday and Saturday. As Barrett-Jackson continues to light up the Strip in Las Vegas, the remaining television schedule for Friday and Saturday is below.